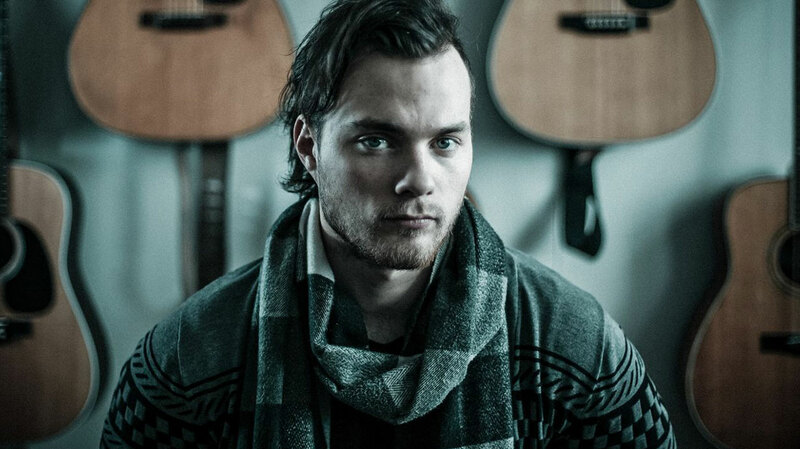 Boasting the biggest selling debut album ever in his native Iceland, Ásgeir Trausti Einarsson recently released In The Silence, an English language-version translated by singer John Grant. We caught up with the singer-songwriter to find out more about his musical background and his take on his unprecedented success. Can you tell us about your musical upbringing please? Music was all around when I was growing up. My mom is an organist and also teaches piano and singing, my dad plays accordion, and all of my siblings are involved in music in one way or another. One of my brothers is the lead singer and guitar player in a reggae band called Hjalmar.Probably the first musical memory I have was when my mom was rehearsing some organ music in a church that she worked at and I was interrupting her by using the organ foot pedals! And I remember that the first album that I bought was Nevermind by Nirvana. Which other musicians inspired you, growing up? My family. I practiced classical guitar from the age of six until 19 and a big reason for that was because of the support from my mother, who is classically-trained. My dad was more supportive with my own music and always told me that I should record an album. And then my brother was really influential too, because he is one of the best guitar players I know and a great singer. He was also the only one in the family who was writing his own music and that was something that I was always really interested in doing myself.Outside of my family, musicians that I listened to and let myself be inspired by included Nirvana, Soundgarden, Pearl Jam, Sigur Rós, Mugison, Egill S, KK, Johnny Cash, Kelly Joe Phelps, Anthony & the Johnsons, and Bon Iver. This adventure has already gone way beyond what I let myself dream of. You nearly became a professional sportsman instead of a musician though, right? Yeah. Music and sport were always equally important to me, but when I was 14 I started to compete in javelin in a serious way. While I knew I would never give up on music, sport was what I wanted to pursue, but I got really injured when I was 18 and had to stop competing. I probably started focusing more on my own music then.From the age of 10, my real passion for music lay in writing songs and doing my own thing. But I always go up and down in creativity and sometimes I just can’t write music – or at least I create things I’m happy with – and when that happens I just stop playing because I know that nothing will come out. But when I get creative periods, I try to use them as well as I can, and what kind of a song comes out depends on what mood I am in. Your debut album, Dýrð í dauðaþögn, has been hugely successful in your home country. Did its success surprise you? Yes! For me, it was a huge success just to go into a real studio in Iceland and record something in a proper way for the first time in my life. I was very surprised by the reaction to the album and everything that has happened since; it is so much more than I could ever have imagined. Why do you think the record has resonated with so many people? I don’t know about any key factors, but I guess just being in the right place at the right time has a lot to do with it. We understand that your father wrote the lyrics. Why use his words and not your own? Most of the lyrics that I had originally written for the songs were in some kind of made-up language that sounded like English. When we decided to record a whole album and release it in Iceland, we thought it would be a good idea to have the lyrics in Icelandic. The first name that came to mind was my dad because he has been writing poetry for as long as I can remember, and he has written lyrics for many other musicians in Iceland, including my brother’s band Hjalmar. We tried one song with my dad’s lyrics and it fitted really well to the music, so we just continued the same process with most of the songs on the album. Was it always the plan to translate the album into English? When we initially decided to make an album in Icelandic, we always talked about maybe doing an English version later, just because the songs were originally in some kind of English. Then, maybe a month or two after the release in Iceland, people around the world started to be interested in the music so we just went back to the idea of making an English version. We wanted to keep it as poetic in English as it was in Icelandic, so thought it would be good to have someone with English as their native language help us translate the album. And that person was John Grant. How did you first meet him? Someone I knew suggested John, since he lives in Iceland, and we thought it was a great idea so sent him an email. He also liked the idea so we met up, and shortly after that John started work. He did a great job with the lyrics, and was also with us in the studio when we were recording so helped me with the pronunciation and other things. It was really great to work with him and get to know him better; he’s a really nice guy. Is there a track on In The Silence that you’re proudest of? Maybe ‘Head In The Snow’ because most of that song I recorded using Garageband. I just like how limited I was: it shows how much you can do with the simplest tools. We are just working out a plan for the rest of the year right now, trying to make things work between Europe, US and even Asia. Hopefully we will make it to some UK festivals this summer. I’m always writing new material too, so whenever we have some time in Iceland we go into the studio to record. What’s your ultimate ambition as a musician? I really don’t have big expectations about my career as such. This adventure has already gone way beyond what I let myself dream of, so I guess whatever happens I’ll be happy because my ultimate goal is just to be able to write songs and play guitar. That’s enough for me. Finally, can you share some insider tips, please? Which other Icelandic artists we should be checking out? There is this new electro band coming up called Vök. They won the battle of the bands in Iceland some months ago and are making some good music; really minimalistic and spacey. 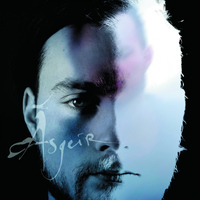 Also check out some singer-songwriters like folk musician Snorri Helgason, who supported us during our recent UK tour.